I fell in love with my husband while desperately trying to avoid him. We lived together in a house with six other recent college grads, sharing one shower between the eight of us. By day we worked around the city, in shelters and in childcares, and by night we broke bread. One by one we trickled off to bed in the evening, and I sat up, waiting for a few moments of peace and quiet in a still house. I have never fallen asleep easily. As a child, I lay in the darkness, watching headlights brighten my walls and disappear again. I wondered where they were headed and if stars could really shoot out of the sky. I stared at the square green numbers on my alarm clock, until I eventually would unplug it, and me oversleep my alarm. In high school, I stared at bright screens, typing gossip and homecoming plans until a parent stuck their head out of the door and asked how I could still be awake. Then I would step outside, to stare at the silhouette of a mountain and the stars stretching above it. I thought about nothing in the silence only utter exhaustion can bring. The house my husband and I lived in was rarely quiet unless everyone was asleep. I hated the unease of trying to sleep while others were awake. Their laughter, their footsteps, even their tiptoes, were constant reminders that the world kept on churning while I closed my eyes. I needed the silence to assure me I could rest. And so I waited until everyone has fallen asleep before I would turn in. But so did one other person. At first, I talked out of politeness, hoping he would soon fold and head to bed. But I soon began to enjoy our evening conversations. As we talked, the clock turned from reasonable to late, to middle of the night, to the wee small hours of the morning. And eventually, it was love. We don’t stay up talking much anymore. Our evenings are filled with work and workouts, children coming out of bed with an owie or a nightmare, television and ice cream. 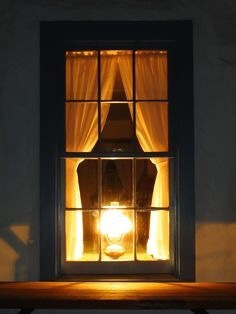 I still can’t resist the quiet, however, and often wait until my husband begs me to come to bed before I acquiesce and relinquish the stillness. As I lay down, the little one wakes. Knees enter ribs, toes press against sides, and tiny fists tap the confines to say hello. I am never alone anymore. After the birth of each child, I have found myself waiting up again. I waited for the dust to settle, the fog to lift, for the days and the nights to get just a bit easier. I waited for peace to renter our lives. I waited for a few moments to just be myself again. And each time, I found no longer know who I am. Motherhood doesn’t change you. It recreates you. For now, I cherish the movements inside my body that keeping me awake night after night. And I long to fall asleep to stillness once again. But I am not sure who I will be the next time I sit up alone in a full house. As each child has grown from a nursing to a toddler, I have grown alongside them. I have become a better person, but a different one all the same. I can wait up as long as I would like, but the stillness of the night is always an illusion. The dark rolls on, pressing to an uncertain sunrise. You cannot wake the same person you went to bed as. You cannot survive a night unchanged. There is satisfaction in a sleeping house. It is a job well done, even if it is one that will begin again shortly. I can find some rest in that.